When I run, I usually run for myself, for my health, for my sanity. But lately, it's been more for those who cannot. Those who are fighting against Breast Cancer, a horrid disease that just needs to go away. I'm running for my loved ones that are completely exhausted after their treatments, yet they find a way to go on and be the strong, courageous women I love. More recently, I have come to learn of several people I love and cherish are battling cancer. I am in awe of their strength and dignity when it comes to fighting this deadly disease. One friend, who was just recently diagnosed with breast cancer, is my age and has young children. She's an amazing woman. This hits close to home. Perhaps too close. I have cried many tears for her and her family. I have cried many tears for all of my friends who are battling cancer. Cancer really should be a four letter word. It's awful. It's broken my own family. I lost my mother to lung cancer just over 8 years ago. The pain and hurt will never end. For me, the word cancer makes me sad and angry. I hate cancer. Skechers, one of my most favorite companies of all, has just developed a line of Breast Cancer Awareness shoes. 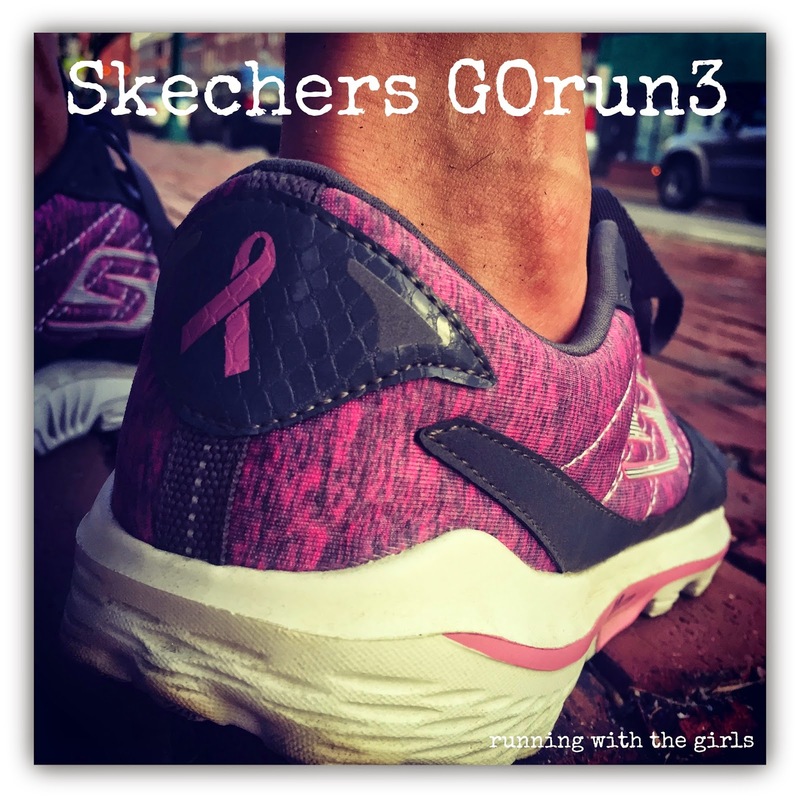 Even better, Skechers has a Breast Cancer GOrun3! My absolutely all time favorite shoe. (I may already have two other pairs) My newest pair was welcomed lovingly into my Skechers shoe family. You have got to check out the Skechers Breast Cancer Awareness Line and let me know which one is your favorite! The GOrun3 is designed for speed. Skechers used it's technologies to design and develop a shoe that promotes a mid foot strike and provides a nearly barefoot running experience while providing some cushioning. 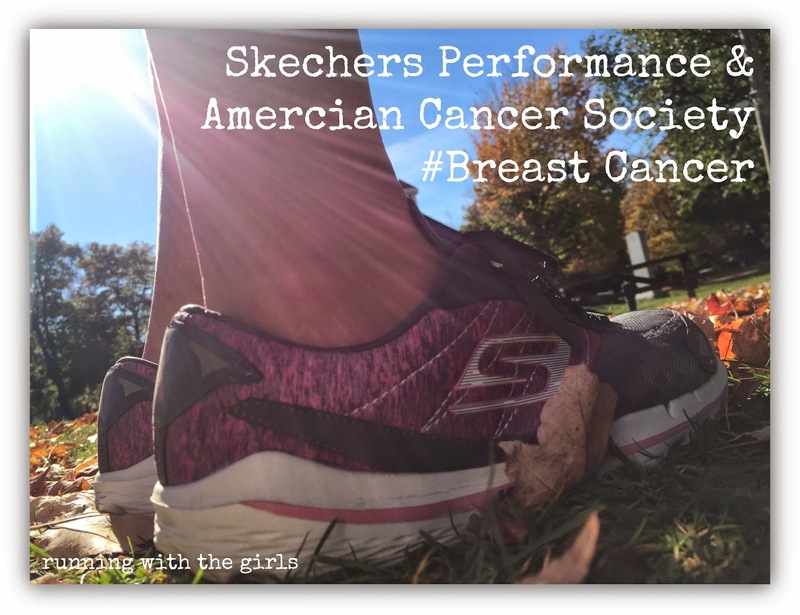 How is Skechers Supporting American Cancer Association? 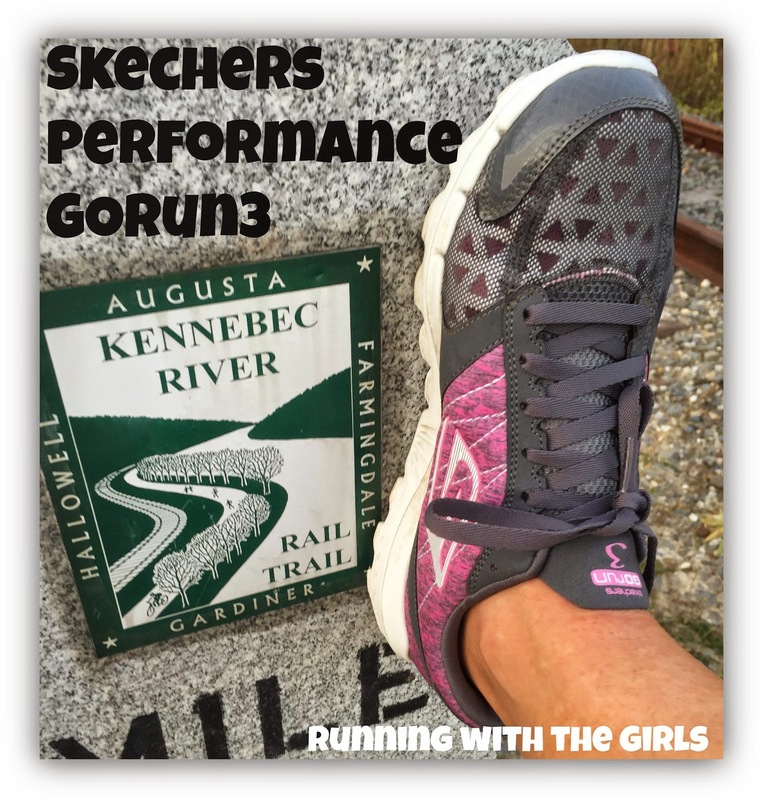 I am proud to announce that Skechers Performance is joining the American Cancer Society in the fight to end Breast Cancer as they continue to invest in ground breaking research, provide comprehensive support to people who have been diagnosed with breast cancer and to continue to advocate for laws that ensure access for women to need it so more lives are saved. 1. Skechers Performance is donating the proceeds from the awareness line (apparel and shoes) to the American Cancer Society. 2. Skechers is hosting the American Cancer Society San Francisco Making Strides Against Breast Cancer walk and will also donate a percentage of their proceeds from the sales of Skechers at the event. 3. All Skechers Retail stores have launched a register round-up program which allows customers to round up their purchase to the nearest whole dollar to benefit the American Cancer Society for the entire month of October. And to sweeten the deal - if customers donate $5 or more, they will receive a 20% discount for their next visit. With the purchase of a limited-edition awareness shoe, Skechers Retail stores are also offering a breast cancer awareness canvas tote or pink water bottle. I agree, cancer is the worst!! I can't wait til the day when we can cure it and make it seem like an ancient disease!! I hate cancer too! My mom has had breast cancer twice and my grandmother three times. It needs to end!